Mashiro with Singapore’s national tourism icon, the Merlion. 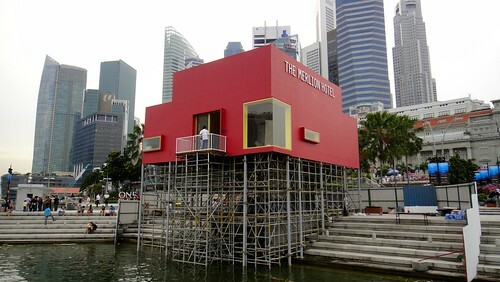 For those who happens to be or coming to Singapore within these few months and want to catch the Merlion in action will be disappointed to know that it is now undergoing construction to be turned into a hotel. Not surprising, the whole hotel concept is thought up and designed by acclaimed Japanese artist Tatzu Nishi. Japanese love the Merlion right?